The US State Department has made a determination approving a possible Foreign Military Sale to Tunisia for UH-60M Black Hawk helicopters and associated equipment, parts, training and logistical support for an estimated cost of $700 million.The Defense Security Cooperation Agency (DSCA) delivered the required certification notifying Congress of this possible sale on July 23, 2014. 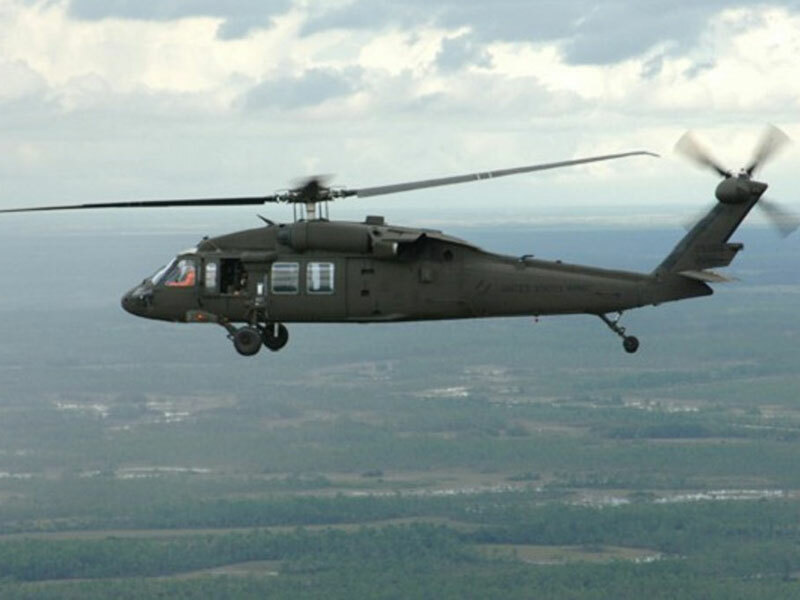 The Government of Tunisia has requested a possible sale of 12 UH-60M Black Hawk Helicopters in standard USG configuration with designated unique equipment and Government Furnished Equipment (GFE), 30 T700-GE-701D Engines (24 installed and 6 spares), 26 Embedded Global Positioning Systems/Inertial Navigation Systems, 24 M134 7.62mm Machine Guns, integration of Precision Guided Rocket System capability to permit launch of laser-guided variants of 2.75 rockets, 9,100 2.75 Hydra Rockets, 100 AGM-114R Hellfire Missiles, 20 M299 Hellfire Missile Pods, 24 M261 Hydra-70 Rocket Pods, 24 GAU-19 .50 caliber Machine Guns, 15 Wescam MX-15Di or Brite Star II Electro-Optical Infrared Laser Designators, 6 Aviation Mission Planning Systems, 1 Aviation Ground Power Unit, 30 AN/AVS-9 Night Vision Goggles, 15 AAR-57 Common Missile Warning Systems, 15 AN/APR-39A(V)4s Radar Warning Receivers, 15 AN/AVR-2B(V)1s Laser Warning Systems, 30 MXF-4027 Very High Frequency/Ultra High Frequency radios, 15 AN/APX-117 IFF Transponders, 15 Very High Frequency/Digitally Selective Calling radios, 15 ARN-147 VOR/ILS, 15 AN/ARN-153 Tactical Air Navigation Systems, and 15 AN/ARC-220 radios. Also included are aircraft warranty, ammunition, air worthiness support, facility construction, spare and repair parts, support equipment, communication equipment, publications and technical documentation, personnel training and training equipment, site surveys, tool and test equipment, U.S. Government and contractor technical and logistics support services, and other related element of program and logistics support. The proposed sale will improve Tunisia’s capability to deter regional threats and strengthen its homeland defense, as well as support counter-terrorism operations. The sale of these UH-60 helicopters will bolster Tunisia’s ability to provide border patrol, rapid reaction, and field expedient medical evacuation for its air and ground forces in counter-terrorism and border security operations. The proposed sale of this equipment and support will not alter the basic military balance in the region, according to DSCA. The principal contractors will be Sikorsky Aircraft Company in Stratford, Connecticut; and General Electric Aircraft Company in Lynn, Massachusetts. There are no known offset agreements in connection with this potential sale. Implementation of this proposed sale may require the assignment of an additional three U.S. Government and five contractor representatives in Tunisia to support the delivery and training for approximately two-five years.